Summer Blues? There’s nothing these stunning ballerinas with matching travel purse can’t fix. In a beautiful shade of blue with black lace overlay, these will have you planning your next get-away! 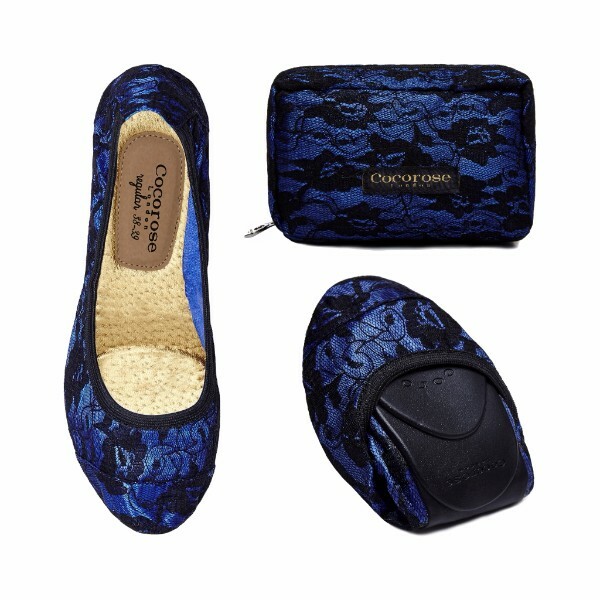 Fusing metallics and lace, these foldable ballerinas with matching travel purse seamlessly combine comfort, function and style to enhance the lifestyles of even the most organised jetsetters and busy professionals. Colour pop meets dreamy lace. Brighten up your day with our elegant but jazzy ballerinas in bright fuchsia with black lace overlay. And we love the matching travel purse too.